In June of 1993, I was blessed to purchase my first childcare center and opened another one across town in 2002. So, for twenty years I have owned and directed centers in Waycross, Georgia. 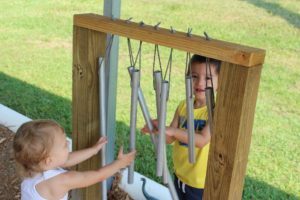 For all of those years, I dreamed of having a nature/farm based childcare center where kids could have fun experiences in an outdoor environment. With so many years working with children I knew that children needed nature experiences more than ever. With so much technology far and wide, these days any occasion to spend time outdoors is special. Later, I met and married a man from Lyons Georgia who lived on his family farm which was established in 1898. 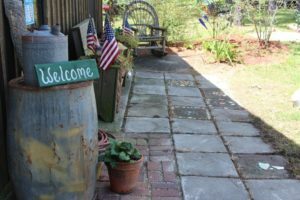 There are pastures, fruit trees, an old farmhouse, antique farm equipment, a catfish pond, garden spots and a nature trail. 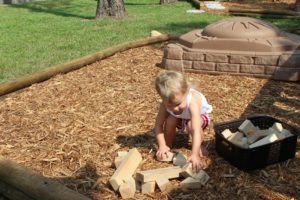 We built a new childcare center right in the middle of all of it and have been enjoying the outdoors around us ever since. What a great place for children to learn and play! For five years now, we have hosted a Kid’s Fishing Rodeo at our pond. We have sponsors and volunteers who help make this event bigger and better each year. This year there were 93 children and their family members who came out and enjoyed a morning of fishing, food, and prizes were handed out at the end. 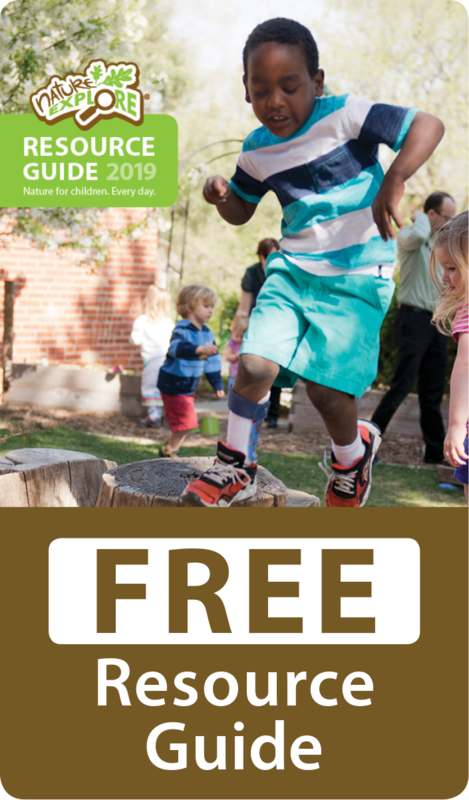 This is our attempt at getting families involved with their children doing something outdoors. So far so good! 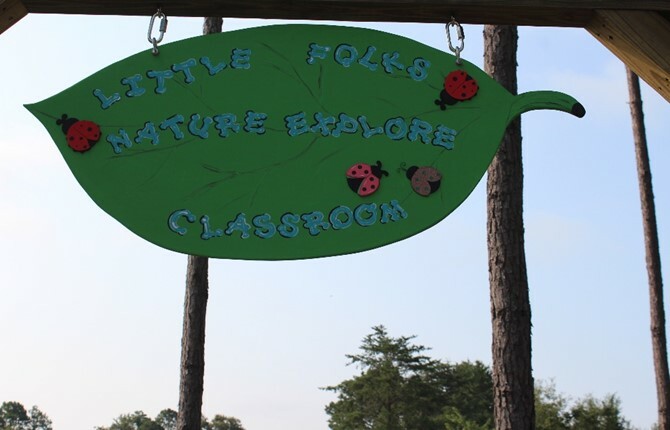 While we were waiting for the new place to be built, doing some research online one day I stumbled upon how to become a Certified Nature Explore Classroom. This has been a goal of ours for years now and this summer we decided to tackle the project and complete it. 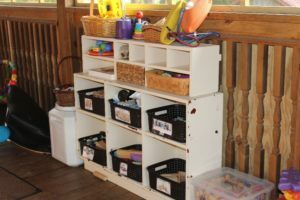 My husband and I attended a workshop in Kissimmee, Florida in 2015 and enjoyed learning about all the things we needed to do to make a Nature Explore center. 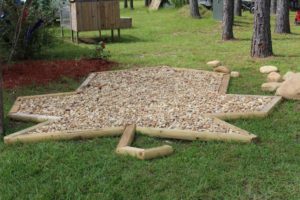 This summer we have been busy preparing an outdoor environment that fits our principles and beliefs about children and their connections with nature. 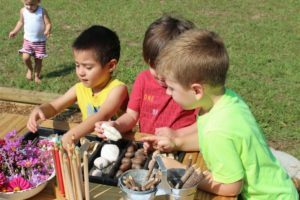 It was pretty easy to create an outdoor classroom considering that Georgia has so many settings for kids to learn outside. 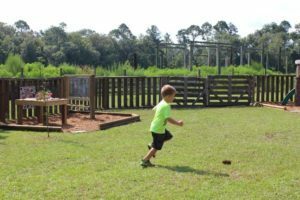 There is such a farming history as well as science scenarios here on the farm that it just makes perfect sense to have a Certified Nature Explore Classroom here.